Attacker grabbed women from behind in two separate assaults near schools in Arcadia. In Arcadia, California, police are searching for a man who attacked two women near area schools, giving them unwanted "bear hugs" from behind and performing several pelvic thrusts before running away. Both assaults occurred last Tuesday morning, less than a mile apart. Both women were walking to or from their cars when the man approached them from behind and forced them into a "bear hug" without saying a word. While being held, the women felt several pelvic thrusts before they were let go. Both women were walking away from their respective vehicles when the man approached them from behind and gave them "bear hugs." While being held, the women felt several pelvic thrusts before being released. The first incident occurred near Richmond Henry Dana Middle School at 1401 South First Ave. around 8:55 a.m., police said. The second happened in the west parking lot of Arcadia High School at 180 Campus Dr. around 11 a.m. 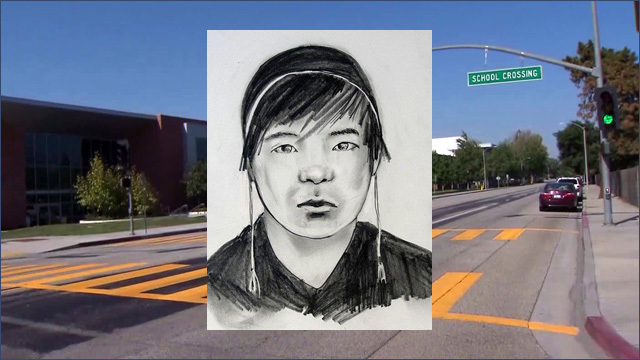 The attacker, who is being sought for battery, is described as an Asian male, 16 to 20 years old, standing 5-feet-7 inches tall, with a "chubby" build, and black hair with a clean shave. He was wearing a black hooded sweatshirt with tan shorts during the assaults. Anyone with information was asked to contact the Arcadia Police Department at 626-574-5150.